The latest Minecraft update has overhauled Minecraft World generation. As a result, all seeds will now generate a different world than before. And since our last server seeds were outdated, we took on the task of listing some of the greatest Minecraft 1.7 seeds for your server. To successfully create these maps, load up your Minecraft 1.7 and generate the world in single player and then upload it to your server. Or you can also open your server.properties and paste the chosen seed right next to the “level-seed=” line, but remember to use the latest Minecraft 1.7 server jar. All seeds featured are discovered and shared by pdx7 – all credits are hers. This seed will spawn you in the edge of a plain biome facing a rare Savanna Plateau M Biome. This rare biome spans massively for more than 200 Minecraft square meters and reaches beyond cloud level. 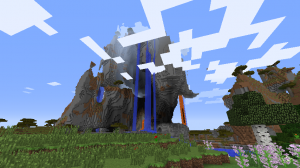 This massive biome has several waterfalls and lava falls and has a flat top for constructing castles, strong holds, and manors. Surrounding the tall mountain-like biome is a flower forest, plains, dessert, savannah, and a surface-level savannah plateau which are all a great area for building. Resource-wise this seed has it all, with exposed ores from the large caves and above the surface lava pools. The terrain of this seed is over-all difficult but we recommend this seed to servers who like to get creative and would like to take on the challenge of building massive fantasy structures or perhaps above-the-cloud cities and villages. Also, adventuring under the massive savannah plateau is a great challenge for adventurers and miners alike. Want to create a pirate versus patrician server? Then you’ll need a huge ocean biome for that! Luckily this seed will give you what you are looking and more! And by more, we mean lots of ocean biomes fitted together in several chunks! Upon spawning, you will encounter a small island with few neighboring lands (more or less 100 small islands). 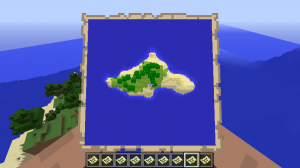 All these islands are vastly scattered in the center with large continents on the edges making it perfect for servers that like to go on treasure hunting and merchant trading, as well as doing ship battles. We highly recommend using ship mods and plugins to fully enjoy the seed. As an Easter egg, there is a mushroom island located somewhere in the vastness of the ocean, can you find it? Note that due to the vastness of the ocean, you might give up finding a continent. But just continue heading to one direction and you’ll eventually hit large lands. We do not recommend this to servers with a low player density, unless they plan on playing it as a survival island server. This is a seed that reminds me of one place inside World of Warcraft. 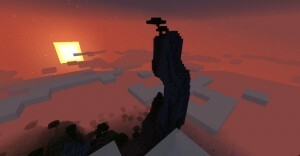 This seed will spawn you in the middle of one massive Mesa biome with Mesa (Bryce). 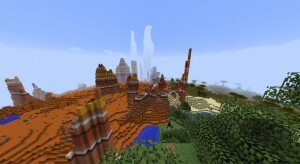 Surrounding the biome are several desert and savannahs making it a perfect candidate for Wild West themed servers. Survival wise, getting resource from this seed is quite hard as players need to do a bit of walking to obtain wood. On the bright side, finding a place to construct your buildings on is easy on its wide barren land. The large biome features a natural river tall hills that is great for ambushes. South of the Mesa biome lies a small savannah village with a blacksmith storing several pieces of obsidian blocks. 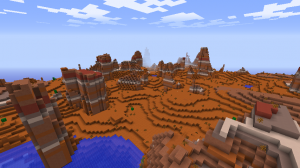 This is an overall great seed with a potential of being a great cowboy or a wasteland/apocalypse server. Is your rare mushroom island biome no longer works in Minecraft 1.7? Well lucky you, for this seed will generate a wide mushroom island in the middle of the sea (which you’ll have to swim first to get there). This seed will spawn you in the edge of a continent that surrounds a huge semi-frozen water with several small islands. In the middle of what seems to be a gigantic lake lies a huge mushroom island filled with mushroom goodness. The main land outside this mushroom biome is composed of forests, ice plains, taigas, savannahs, and all the other biomes that you need to survive. Far south from the island also lies the new ice plains spike biome which in itself is a sight to behold. Terrain-wise, this seed is a bit hard both for single player and multiplayer, but hey! Mushroom island for 1.7! As usual, we saved the best for last for this seed is gorgeous! In fact we couldn’t find any seed that showcases Minecraft 1.7 more than this. Featured by pdx7 herself, this seed contains all Minecraft biomes (maybe except for the roofed forest M) within a 2000 block radius starting from the origin (0,0). This wonderful seed features 3 huge savannah plateau M, a massive mesa, scattered swamplands, a massive jungle and so much more. Terrain wise, players will spawn in a plain biome with a desert biome north of it which gives players a whole lot of space to build in. Survival is also easy for the map can support a large quantity of players due to its collection of biomes. 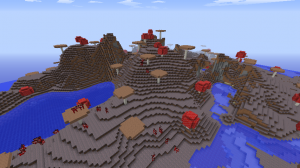 This seed also features a mushroom biome and rare floating islands which adventurers and explorers love, as well as an NPC village with a blacksmith that has 9 obsidian blocks, golden ingots, and iron goodness. Overall, this seed makes for a great Minecraft map to large servers that love vanilla Minecraft terrain as it features wonderfully generated landscape including jaw dropping waterfalls and iconic savannah plateau (as seen in the screenshot below). Are You Still Playing on Minecraft 1.6? 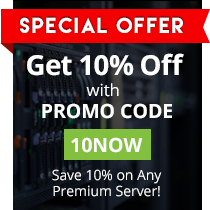 Don’t get outdated and update your server! What are you waiting for? Try these seeds on a grand scale and own your own MineCraft server from the super-optimized systems at EnviousHost! Enjoy lag-free and up-to-date gameplay for everyone. A big thanks to pdx7 for giving us a well-presented collection of wonderful seeds. Check out her full collection here.